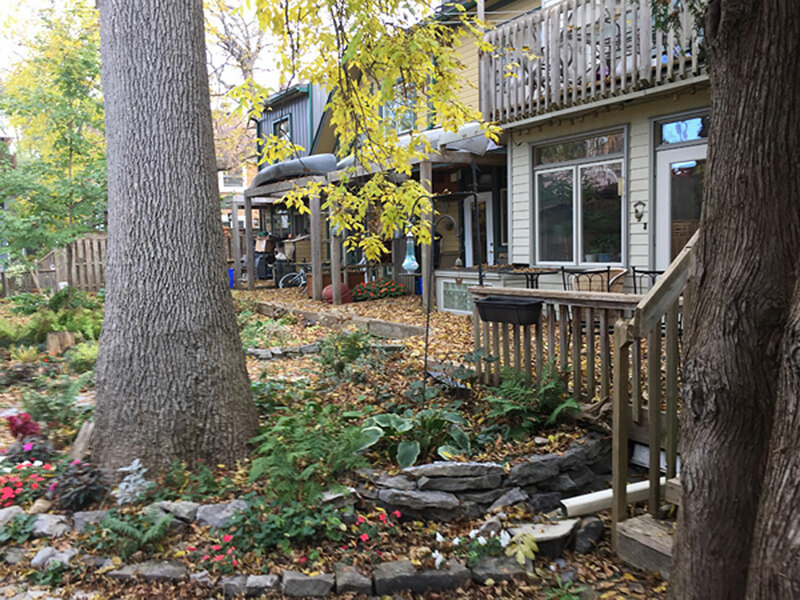 Terra Firma is a small cohousing project located in the centre of the city and close to the Rideau Canal and not far from the Rideau River. The lives of the 12 families who make up Terra Firma are enriched by lots of formal and informal sharing of resources, advice, laughter and sometimes tears. We are currently at capacity and not seeking new members, but are open to supporting other groups by sharing what we have learned as a community. Terra Firma officially started in 1997. 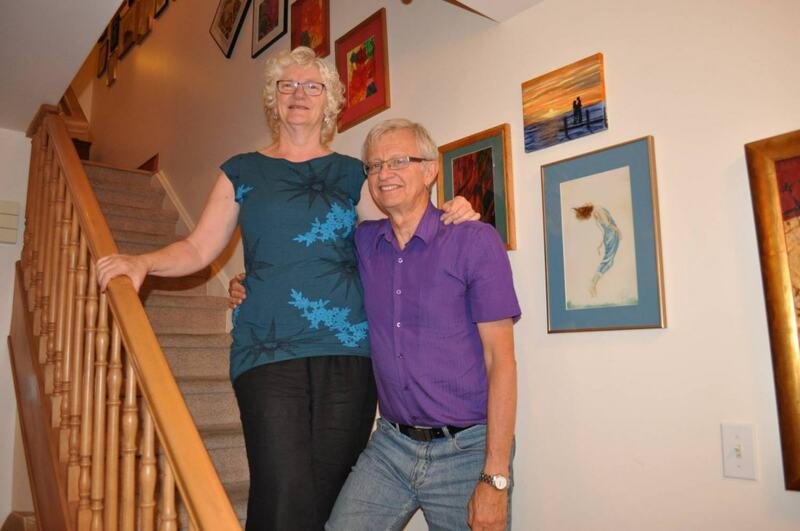 At the time, we bought and subsequently renovated two three-door townhouses. 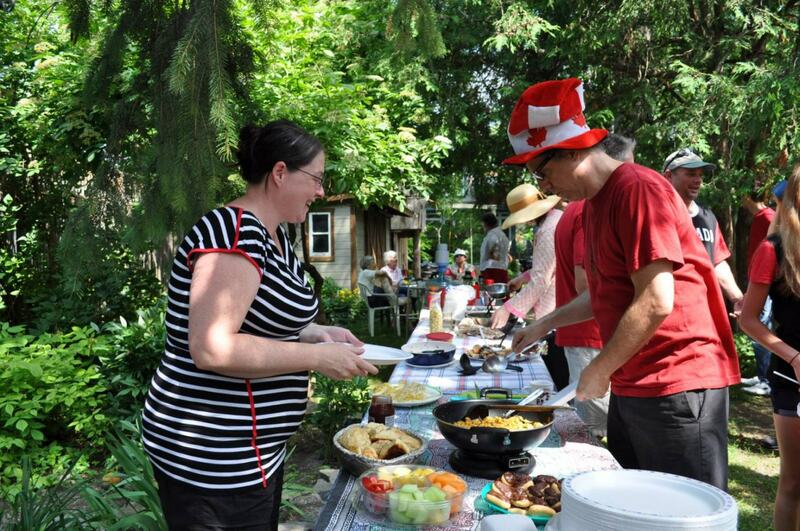 We have since built an infill between the two buildings which houses a seventh residential unit and our common space, which in addition to dinners is used to host a great variety of events and activities. Later on, other families purchased and/or rented units within the vicinity of the townhouses. Our common space has a solar hot water installation which provides heat and hot water to the common space and three units, and hot water to an additional unit. From the common space we have also created a lovely walkout area that contains a hot tub. Our large common yard has many shared amenities (play structures, tree house, gardens, quiet sitting area, bicycle and storage sheds, trampoline, composting bins, wood pile). We have two shared meals a week and support each other in many small and big ways.